Good morning to all of you and thanks to Bankers adda and all of you for your best wishes. A graduate engineer in E& C who was imprudent in technical skills so anticipated the ultimate path to get a job is to groundwork for non tech, sounds to be credulous but when started it made me realize the competitive world is messy and ever changing .I started without any guidance it was july 2014 and the outcome was quite obvious, beginning was with SBI PO shattered me completely, got 48/200, gathered courage and appeared next one it was SBI clerk, the result was same a collapse, this time 112/200 gave me a little mettle, Next one was SIDBI got 94/200 once again a disappointment but by giving these and analyzing the pattern I quickly realized something is lagging and that was a guidance. 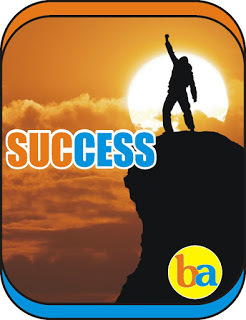 Guys today I will share my success story with you,Although I am not interested in all this sharing stuff but after seeing so many candidates frustrated due to their failure in ibps exams.I felt the need to share with you guys my success story.Guys failure is the surest stepping stone of your success.I started my preparation for competitive exams in 2012. I appeared in almost 35 to 40 competitive exams .After appearing in numerous exams when I couldn't make it up to the mark I also got discouraged .But I'm telling you guys frustration and disappointment will take you nowhere it's my experience. It will just waste your time,spoil your concentration. "How I managed to qualify 5 exams back to back in 6 months and at the minimum eligible age - 20 years"